Spring has sprung! Or maybe we’re headed straight into summer! But I am so happy to see sunshine and hear birds singing. It’s also been an incredibly moist spring. 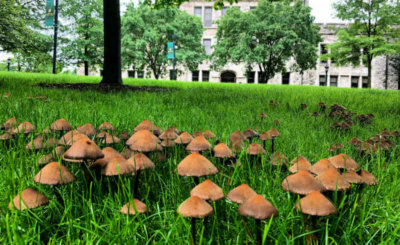 As I was walking to a meeting at work the other day, I noticed we were growing a beautiful crop of mushrooms on campus. 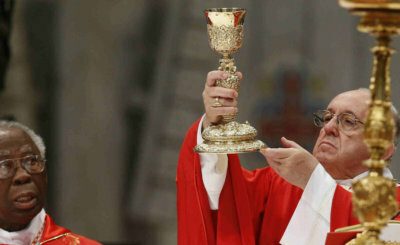 He said that while he wished other Christians well it was important understand that "the holy Eucharist is not our private possession which we can share with our friends."